Portland is excited to debut its BIKETOWN for All program! The program will provide an opportunity for Portlanders living on low incomes to become members of BIKETOWN and pay with cash. It will also provide bike safety education and free helmets to BIKETOWN for All members. The Community Cycling Center will arrange with housing, social service or nonprofit organizations to promote BIKETOWN for All memberships with their residents or clients. We will usually hold a workshop at the referring organization’s site describing how BIKETOWN works, including how to check out and unlock a bike. The workshop includes a bike ride covering essential skills for city bike riding. At the end of the workshop, participants can purchase a BIKETOWN for All membership at the cost of $9 for three months, or $3 per month. This membership provides the rider up to 90 minutes of daily ride time. 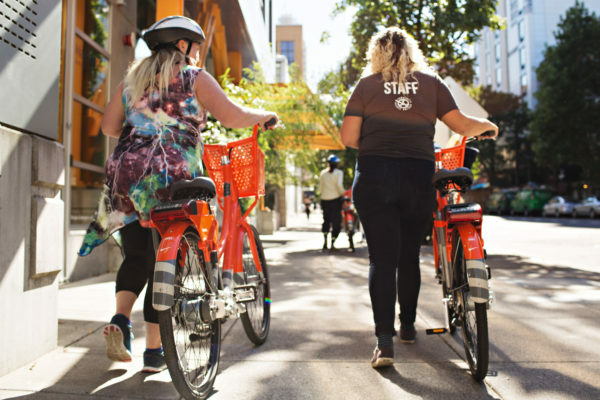 Initially, BIKETOWN for All memberships will only be available through participating affordable housing, social service and nonprofit organizations. People interested in obtaining a BIKETOWN for All membership should speak to their case manager or resident service manager and ask them to complete the BIKETOWN for All interest form. In the future, BIKETOWN for All workshops will be open to individuals who are not connected with a referral agency. 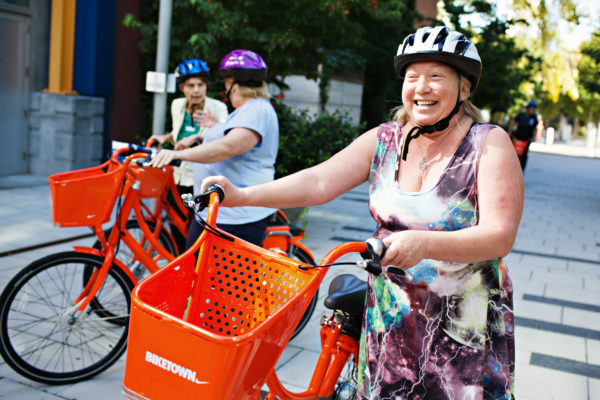 Housing, social service or nonprofit organizations interested in participating in BIKETOWN for All should complete the BIKETOWN for All interest form.